Isuzu has expanded its latest D-MAX range with the introduction of an exclusive limited-edition model – meet the new D-MAX Arctic AT 35 bakkie. 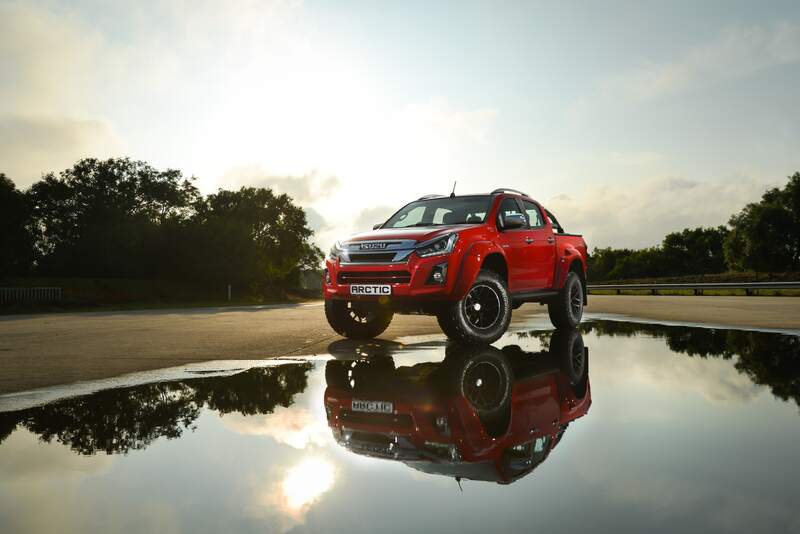 The new D-MAX Arctic has been proudly engineered and built in Mzansi, with a close collaboration with Arctic Trucks, an international company known for developing extreme terrain bakkies. The Isuzu D-MAX Arctic’s comes with distinct looks and a macho stance complimented by flared wheel arches and a substantial 180mm to the overall width while ride height is 48mm up on a standard D-MAX for additional ground clearance. Also confirmed is the fact that the new Isuzu Arctic has been based on the based on the 300 4×4 Double Cab LX Auto, confirming its momentum to be provided by the same 130kW/380Nm 3.0litre 4-cylinder turbo diesel engine also found on the standard model. Power is sent through all 4-wheels via a 6-speed auto transmission. 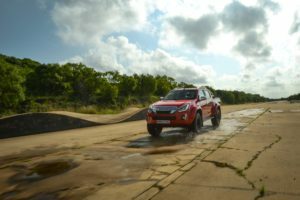 Isuzu has confirmed the D-MAX Arctic as the most capable bakkie Isuzu has built to date, with Mzansi’s most tough terrains confirmed to be issue for the purpose built bakkie. Local introduction has been confirmed for May 2019 for the Isuzu Arctic AT 35, with limited production keeping the Isuzu Arctic as exclusive as possible. Isuzu D-MAX Arctic AT 35 R 785 000. The Isuzu D-MAX range comes standard a 5yr/120 000km bumper-to-bumper warranty and Isuzu Roadside Assistance, a 5yr/unlimited km anti-corrosion warranty and a 5yr/90 000 km Service Plan. Service intervals are every 15 000 km/12 months. Extended cover can be purchased for Roadside Assistance, Service Plans and Maintenance Plans.